How could anyone forget! From battling the blizzards on the daily commute, to the many hours missed due to snow-clogged roads and work sites, last winter was a frustrating (and costly) time for many. But don’t worry, because you can plan to stay one step ahead this year. Our forklift ice and snow attachments are designed to help winter-proof your operations, no matter how harsh the weather gets this winter. From seeing off unexpected snowfall, to keeping your working environments regularly gritted and ice-free, we have the equipment you need to keep delays and disruption to a minimum and stay one step ahead of the ice and snow. Our fork-mounted snow plough is often used by many of our customers as a yard scraper during the winter. 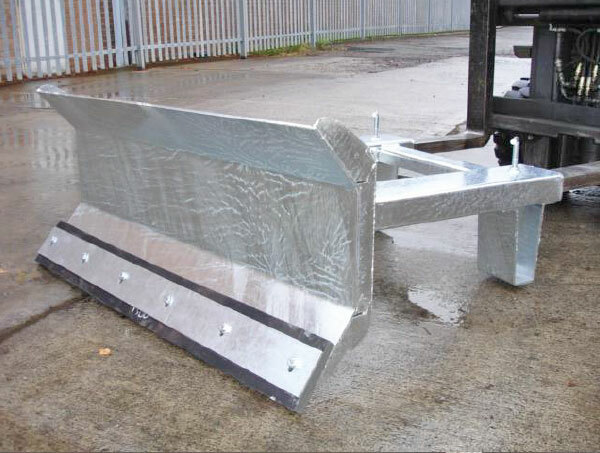 Available in three different blade widths and models (ISP-1, ISP-2 and ISP-3), the attachment is highly effective at clearing freshly-fallen or compacted snow on car parks, access roads and service yards. Are deliveries an essential part of your business? Do delays cost you dearly? If you’re part of an industry that relies on vehicle access, like the warehouse and logistics industry, for instance, it’s worth investing in heavy duty equipment that ensures you can still operate. 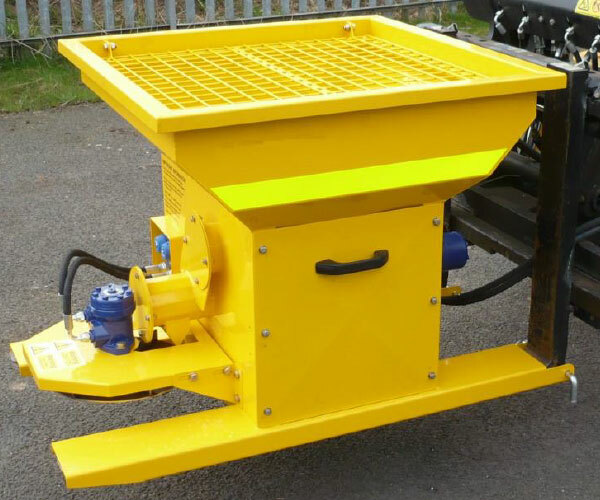 This front-mounted salt spreader/gritter operates by being hydraulically-driven from a forklift’s third service valve or side shift valve. Fitted with a stainless steel double auger system, which can spread all types of salt (wet or dry, brown or white), the system features a 0.20m3 hopper capacity for up to 250kg of salt. For more details about the forklift ice and snow attachments featured in this post or for something more bespoke, contact us on 0113 277 1222 or sales@invicta-attachments.co.uk. You’ll also find more information here, including technical specifications.